Editor at the Daily Mail answers BNC questions! 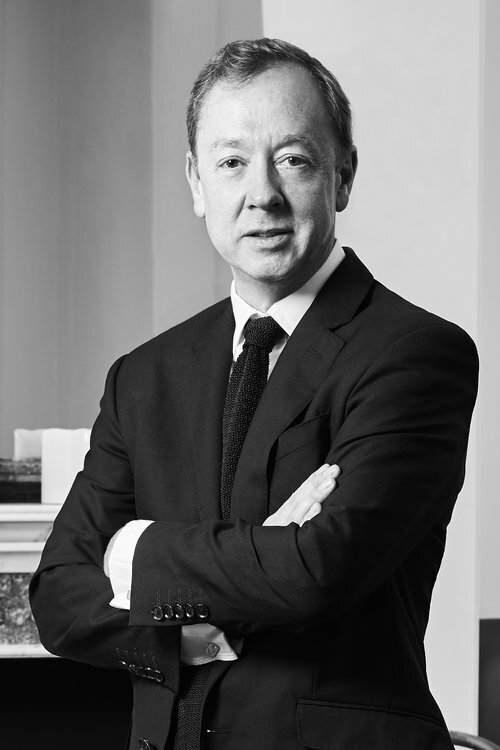 Geordie Greig became the Editor of the Daily Mail, and also Editor of Mail Newspapers, in September 2018. Before that, for six years he was Editor of The Mail on Sunday. He edited the London Evening Standard for three years from 2009, and was Editor of Tatler for 10 years. He worked for the Sunday Times for 12 years, five years in America as New York correspondent, later becoming the paper’s literary editor. He is a director of Mail Newspapers and the London Evening Standard. Q) Why does the news make things seem scarier than they actually are? A) There is an old saying that dog bites man is not news but man bites dog is news. The nature of news is that it concentrates on the unusual and surprising and often that can be scary. Something ordinary or normal which happens is essentially not news. Q) Many crimes are done around the world. Is there a particular story that stands out? A) I think the Rwandan genocide in which one million people died and nothing was done to prevent this, is one of the stories of the last few years which stands out for me. Q) Should the Media talk about gangs and people in them? A) Gang crime and the people who are in gangs have always been a source of news stories. This goes back to the Kray Twins, who ran part of London in the 1950s and 1960s and also the Richardson Torture Gang, who ran their criminal empire from South London. Myths and legends about these gangs abound, but today stories about gangs are often about young people in their local towns, involved in crime including drugs. The more they are talked about and written about, it is hoped this will lead to people being dissuaded from joining gangs as it destroys lives and neighbourhoods. Q) We all know recently knife-crime has been in the news a lot and especially in London and very populated cities. But is this a good idea? In society nowadays, many people rely on news to get their dose of the daily happenings in the country and recently we have all been hit with the brute reality of these knife crimes. But this could influence people. By this I mean having knife-crime on national news all the time can be risky. Let me know what you think? A) Knife crime has shocked many people, especially with the enormous numbers of people injured, and in some cases murdered, by people armed with knives. I think it has highlighted the need for the police and others in authority to take more action and for the public to be made more aware of this particular crime. I think your question implies that there is a risk of people doing copycat crimes by reading, watching or listening to news items about knife crime stories. While that is a risk, I always think that openness and transparency about all crimes including knife crimes, is the best way to make people aware of the destructive nature of crime. Q) Do you believe everything you see on the news? A) On the whole, the news on TV is edited by professionals and so is believable. The difficulty with some news seen on social media is that it is not put out by professionals and so runs the risk of not being checked and therefore being inaccurate. Q) If there was a knife crime and somebody died would their family be able to ask the media not to publish it or at least keep it anonymous if they wanted to? A) Once a crime is committed and the police are involved and someone is arrested or indeed charged with a crime, it is very difficult for this not to be written about. Having a free press write about crime means that, as well as highlighting what has happened, it is also a good safety measure to make sure the police and others in authority act correctly. Part of the point of the media is scrutiny of those in power as well as those who suffer tragedy. 1. Pick out something Geordie has said that you AGREE with and find evidence to support this point. 2. Pick out something Geordie has said that you DISAGREE with and find evidence to support why you disagree. I don`t agree with Geordie saying that the news on TV is believable as the weather news is not accurately correct and getting back to our current issue the news on TV can actually be exaggerated. For example , ‘High harm’ violence on rise, crime figures show is a title on a TV news programme and sometimes it`s not always that way like. I live a really good life some problems but they`re not harming and many other people do as well thats why disagree. The weather is an interesting one! Weather reports are always predicting what they think is going to happen using lots of advanced technology- but it's never 100% certain. So you think that the news doesn't represent the majority of people's experiences and makes things seem worse than they are? What suggestions do you have to improve this? The Met police are reviewing their gun crime strategy but what other steps are being taken to reduce the levels of violent crime? In your opinion, what do you think would attract all the criminals attention to make them feel like they need to stop? what do you think would make a change? I disagree with “once a crime is committed and the police are involved and someone is arrested or indeed charged with a crime,it is very difficult for this not to be written about.” because on fullfact.org it says the police recorded 5-3 million offences in the year to September 2017 and not all of these crimes were reported in the news. Geordie says that it it’s a good safety measure but crime has been decreasing since 1995 but crime is reported more on the news so people think they are increasing,becoming scared. I disagree with Geordie when it says about if a family had a victim of knife crime. It may be okay to publicise it and make people think about it but if you don’t want it publicised then they should respect it. This is because the people would be fell uncomfortable with this happening. Also there are so many crimes today that we know how bad they are. Editors might want them to be publicised so they can show the risk, but many people are scared about knife crime. This is why the victims family may not like this. I agree with you harmonious seahorse, if the family’s victim wish to remain anonymous then they should be allowed to. What I also have trouble with is the need to publish people faces and reveal their names when they are just a suspect of a crime and it doesn’t even have to be a violent crime. Not so long ago, early this year, the Gatwick Drone incident had to postpone flights for days, Daily Mail publish the faces and names of the innocent couple who were falsely accused for flying the drone and I think they had to have some kind of counselling. I felt so awful for them! I don't agree with Geordie on the news being accurate because if they were putting on the news , ( for example ) " 2 people stabbed in Washington " , the witness might've been the killer's friend but he/she doesn't stand out so when it is on the news , the fake witnesser ( killer ) , might say , " the killer had a friend but he/she wan't there at that time so the police only captured the killer without his/her friend .